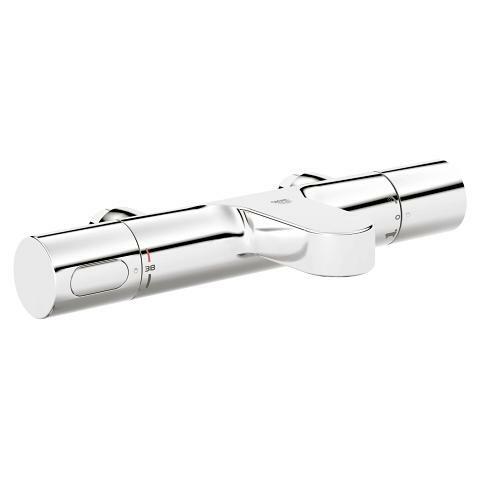 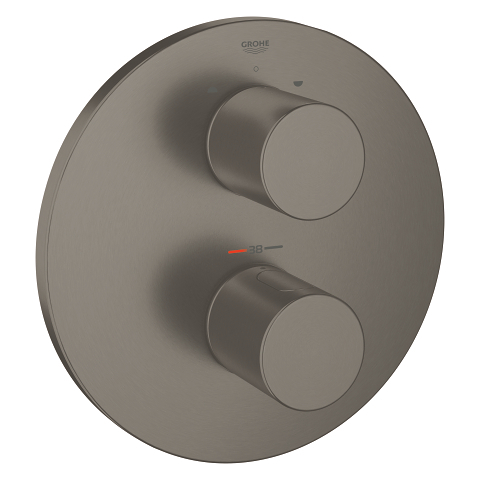 This wall-mounted control trim features an angular plate with two cylindrical handles to adjust the water temperature and volume of your concealed thermostat. 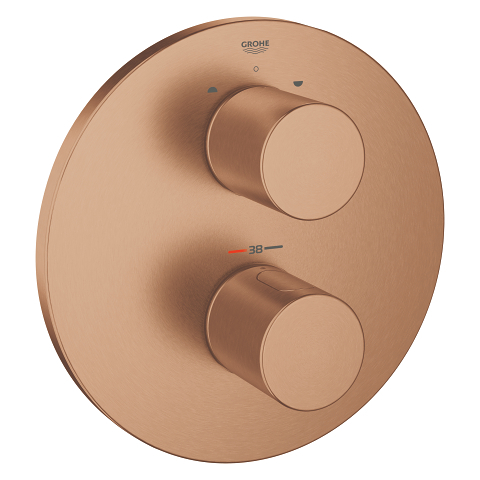 The integrated GROHE SafeStop button protects your skin from scalding. 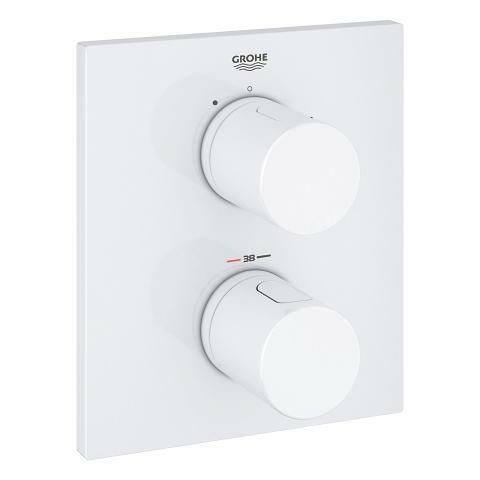 To save water while showering, simply activate the GROHE EcoButton and your water consumption will automattically be reduced. 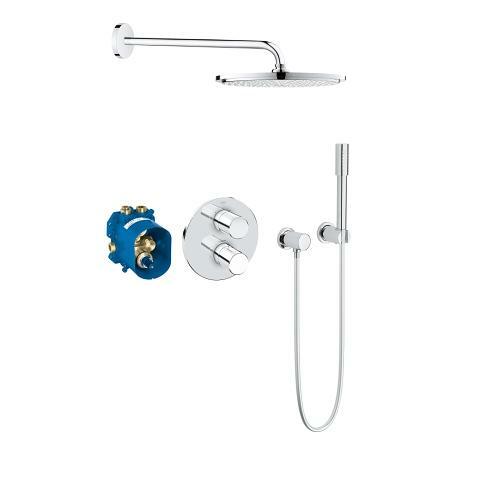 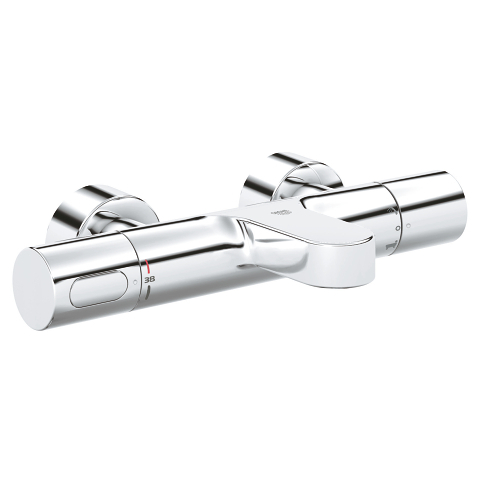 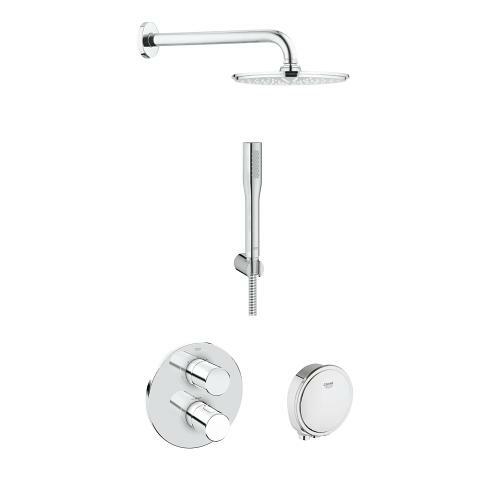 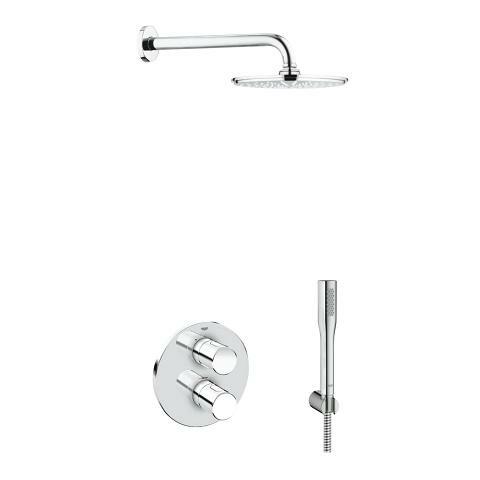 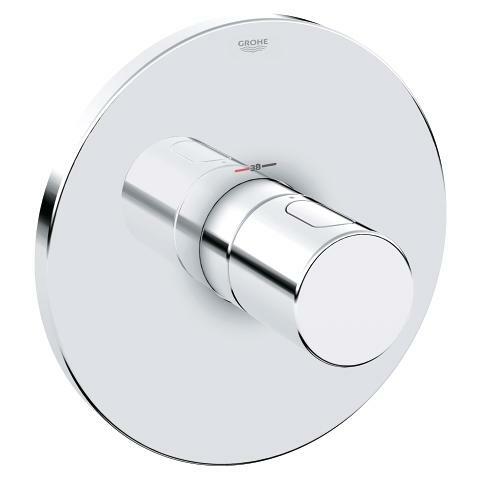 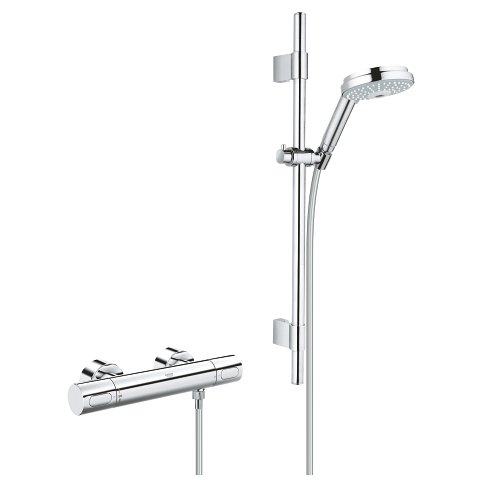 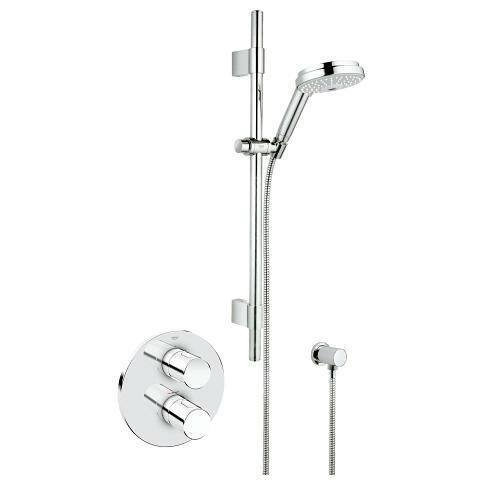 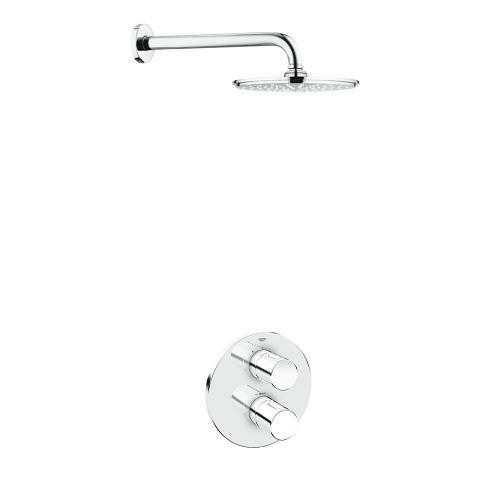 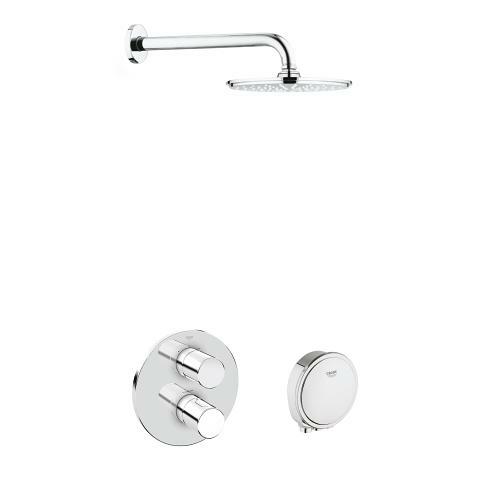 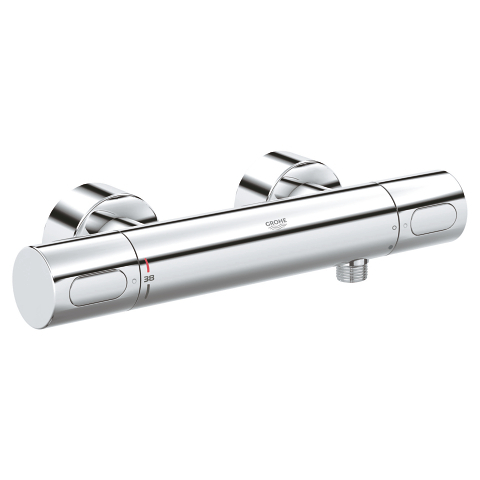 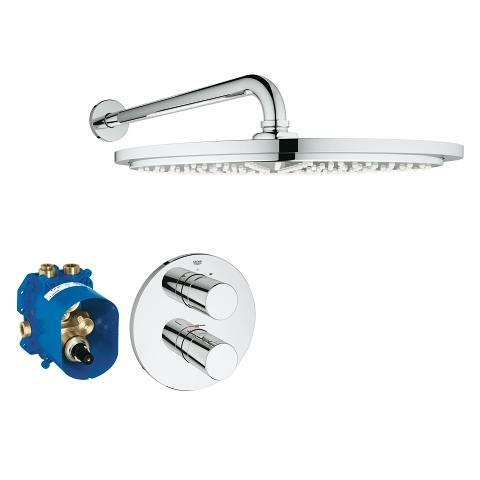 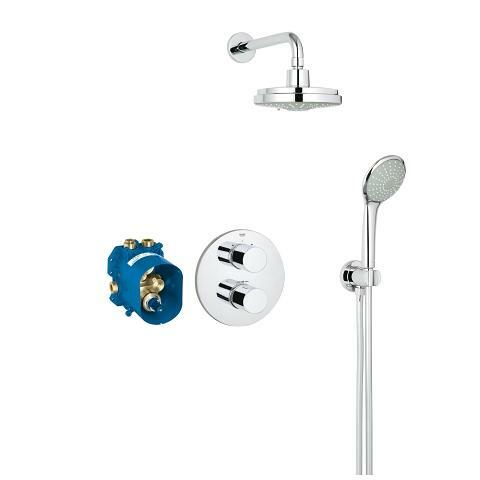 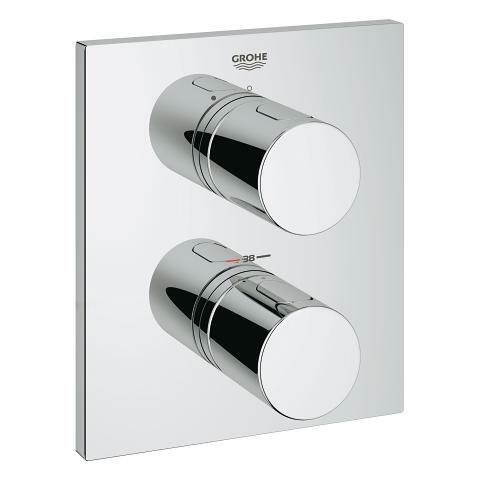 Finished in GROHE StarLight chrome, the trim set comes with a beautiful lustrous surface that is highly scratch resistant and easy to clean. 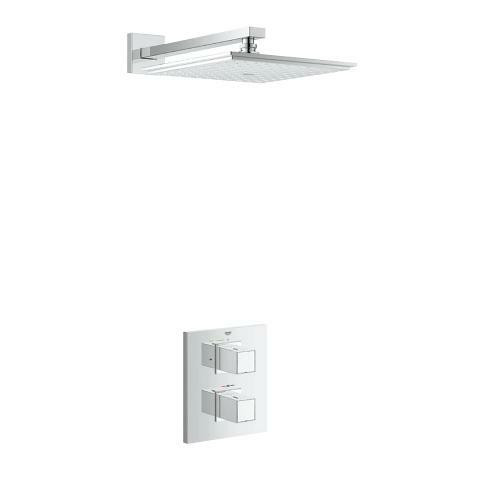 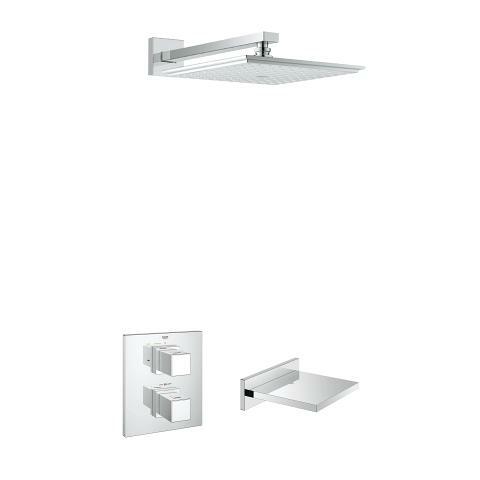 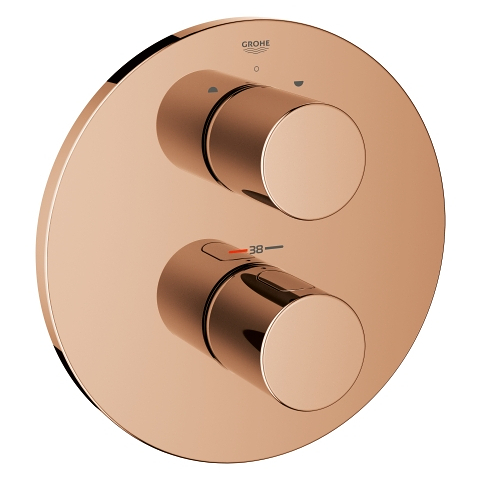 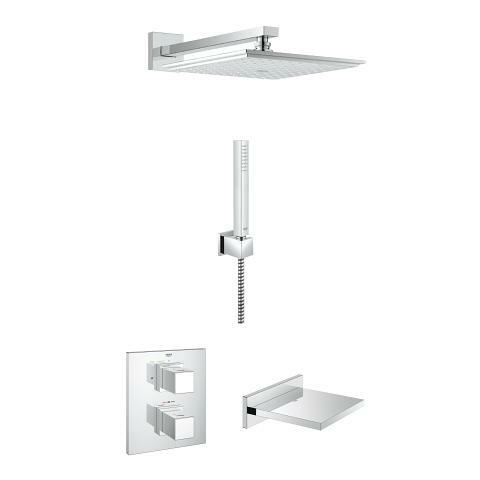 Upgrade your bathroom with this gorgeous shower trim – thanks to our GROHE QuickFix system, you will have it mounted on the wall in no time, without exposed screws. 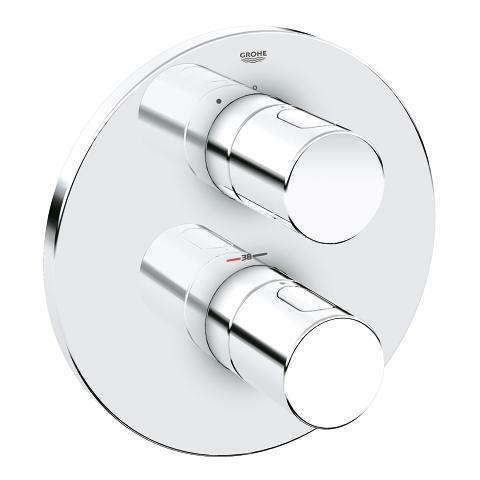 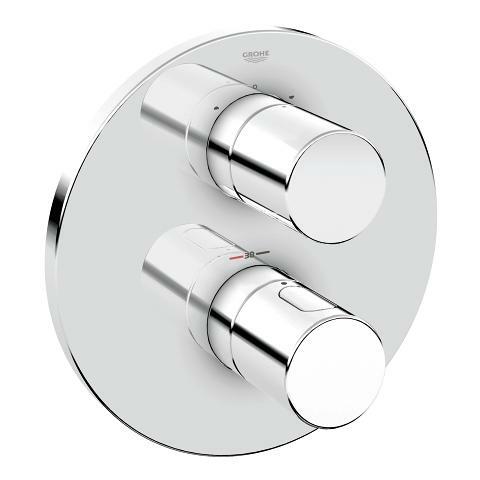 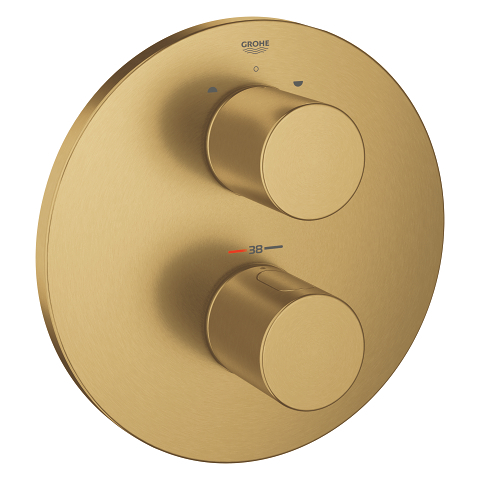 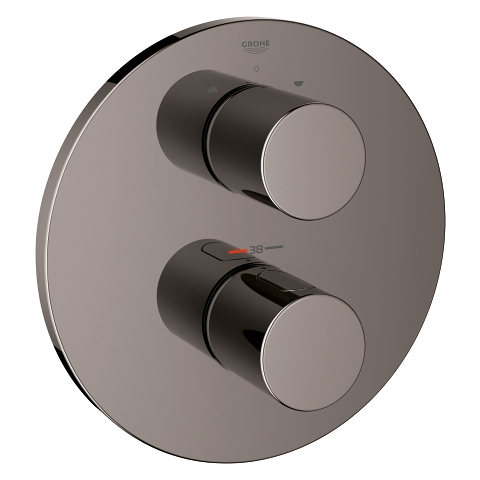 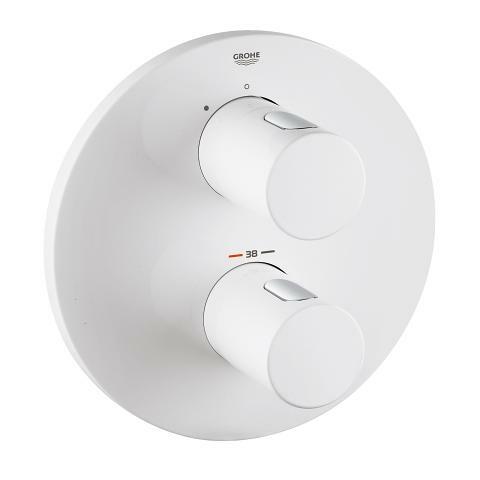 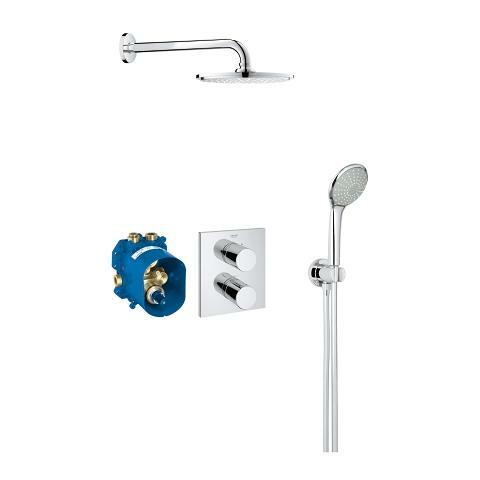 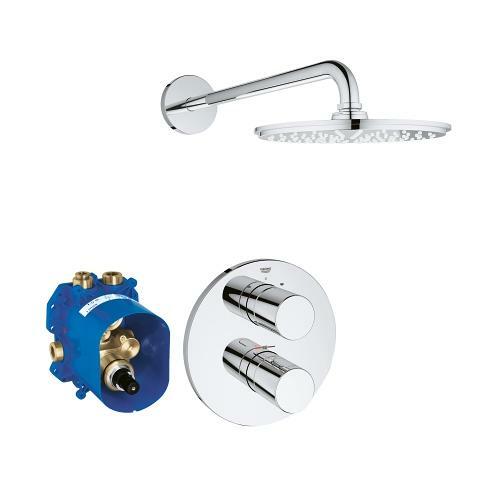 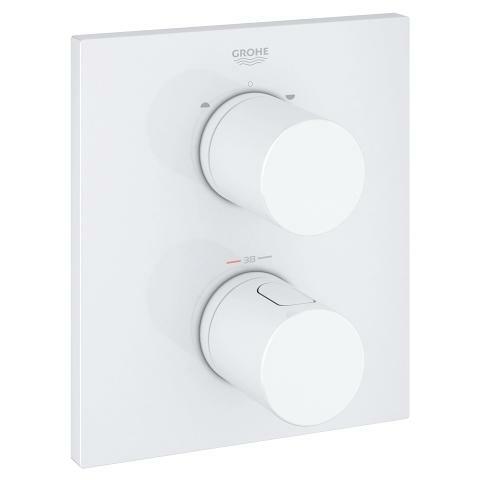 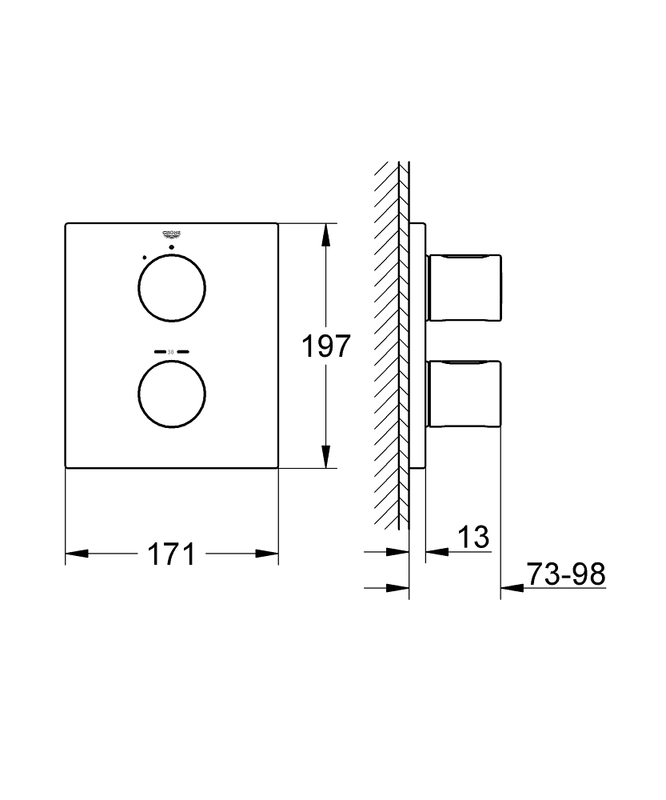 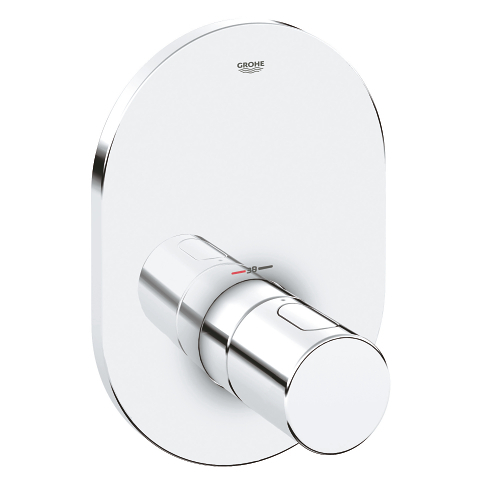 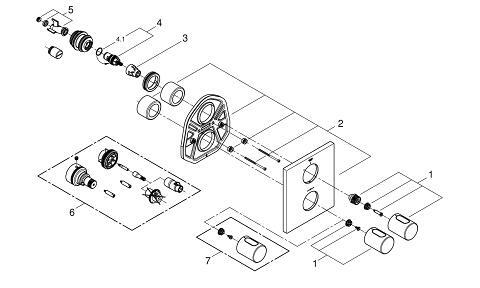 Please note that the trim must be installed in combination with the GROHE Rapido T concealed thermostat (35500000). Engineered with the GROHE TurboStat technology, it instantly delivers the selected water temperature and keeps it constant throughout your shower.